our area follow suit on go on vacation. I once heard a fellow agent describe August perfectly as, “You know the real estate market will be slow when all you see on Facebook is pictures people are posting from the beach.” It’s true. While it might take two weeks in early spring to get under contract, it will take double or triple the time in August. It’s not impossible to sell in August. It just takes longer. And a good Listing Agent doesn’t back down from a listing no matter the time of year. This Parkdale model home, located at 9458 Cromarty Court, hit the market on August 3rd (2015.) Its original list price was $415,000. However, after just one week on the market, the feedback was in. Buyers were not seeing the value when other Braemar Carriage homes were priced more aggressively. So my Sellers made the choice to lower the price to $399,000. They had identified their next home and didn’t want to let it slip away. After twenty five days on the market, and two offers, my Sellers went under contract. Thankfully, they had a buyer willing to give them a two month closing time frame. That gave them time to go out, get under contract on their home of choice and not feel rushed if they couldn’t make a deal with their first choice. 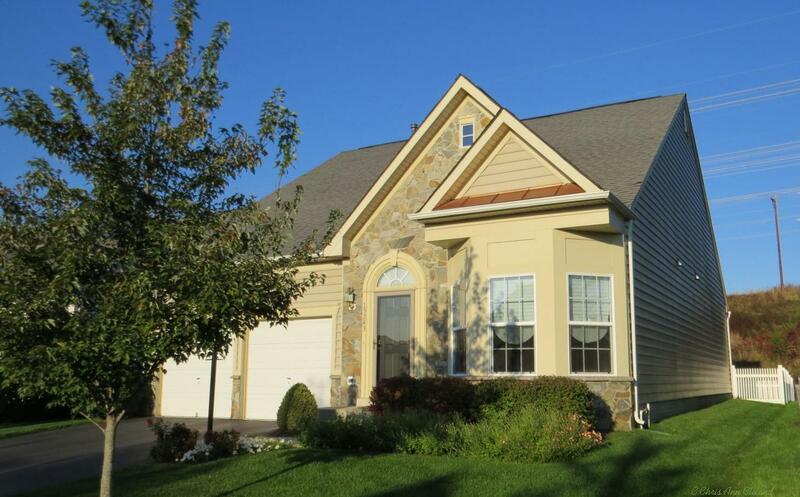 On October 30th, this Braemar Carriage home sold for $395,000. Sellers only had to give $750 in closing cost help. 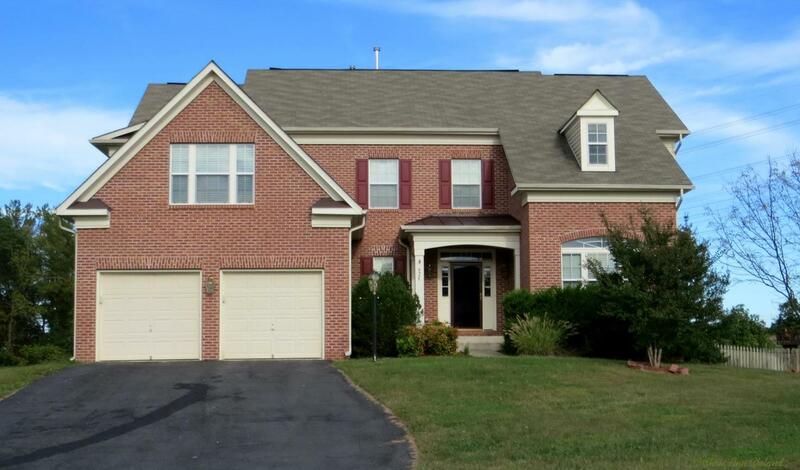 Looking to sell your Braemar home? Give me a call for a free market analysis. No matter what month you want, or need to sell, I will get it done. No One Knows Braemar Better! agent. For those agents that worry that the type of home their buyer wants is not on the market, it’s a curse. For agents like me, it is a blessing. If I know exactly what a buyer wants, I can get together a list of those homes in the neighborhood the buyer wants and a letter to send to the owners expressing my buyer’s interest in it. Sometimes you uncover an owner that may have been considering selling, but hasn’t consulted an agent. Those are homes for sale that no one knows about…except for you and your buyer. 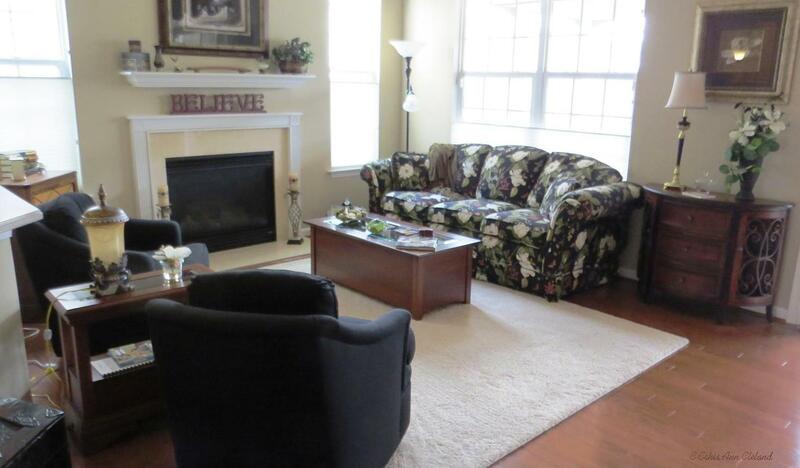 This sale unfolded because my Buyer told me exactly what she wanted: an Ayres model duplex in Dunbarton. 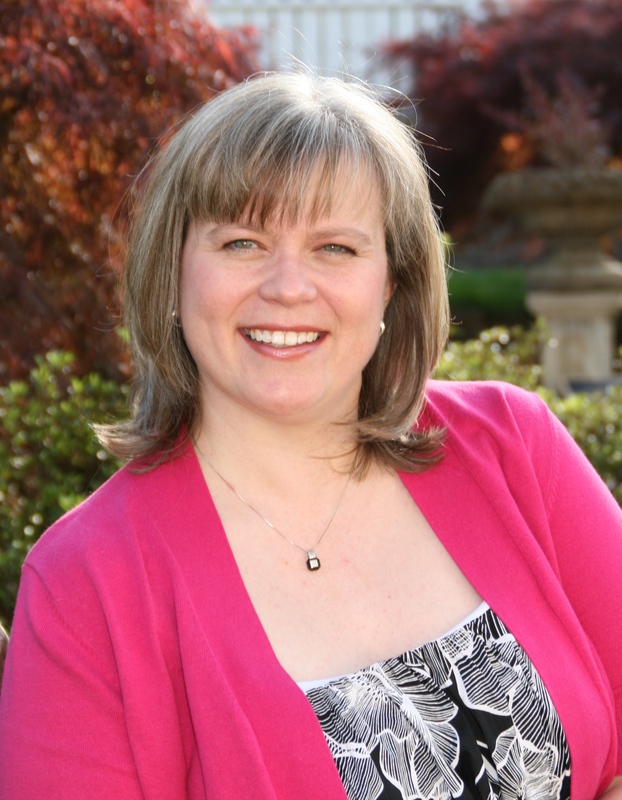 She chose to work with me because she found a lot of Bristow real estate information from me online. We looked at the one that was available for sale, which was occupied by a hoarder. No dice. And we tried some other home styles on for size. Nope. It was an Ayres or bust. So we waited, until I got tired of waiting and mailed out letters to owners of Ayres models. We got to see two homes that no one else knew about, but neither quite fit the bill. One was too big (it had a basement) and the other would have been fine had it not been on a corner lot. Then, a past client in the neighborhood who knew about my letter writing campaign, searching for an Ayres, called and told me about a friend she had that was considering moving. A few days later, my Buyer and I went to check it out. It was stunning. No detail was overlooked from the seamless shower and framed mirrors in the master bathroom, to the hickory cabinets with under cabinet lighting and tumbled marbled back splash in the kitchen. The place was gorgeous. 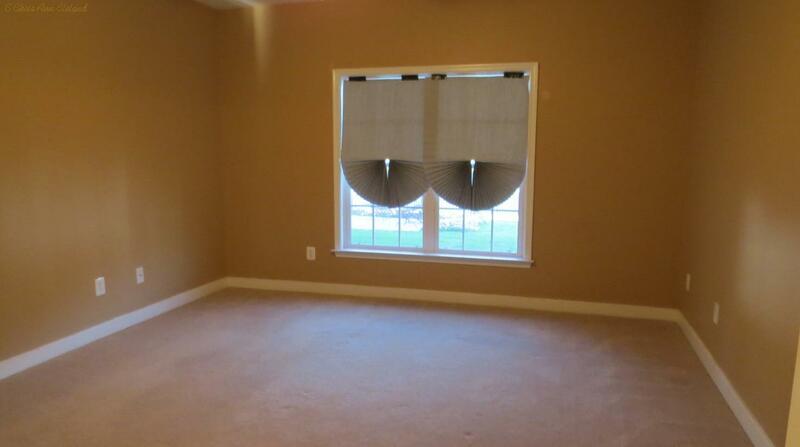 My Buyer made an offer and I presented it to the Seller, who had decided to go For Sale By Owner in the transaction. My Buyer gave the Seller the price she wanted. The Seller, in turn, gave some closing help to my Buyer. A little more than sixty days later, they had the friendliest settlement I can imagine on October 21st, 2015, when the duplex changed hands for $334,000. When you know exactly what you want, hire an agent that isn’t afraid to go find it for you if it isn’t on the market. And if want you want is in Braemar or Braemar’s Dunbarton, call me. No One Knows Braemar Better! 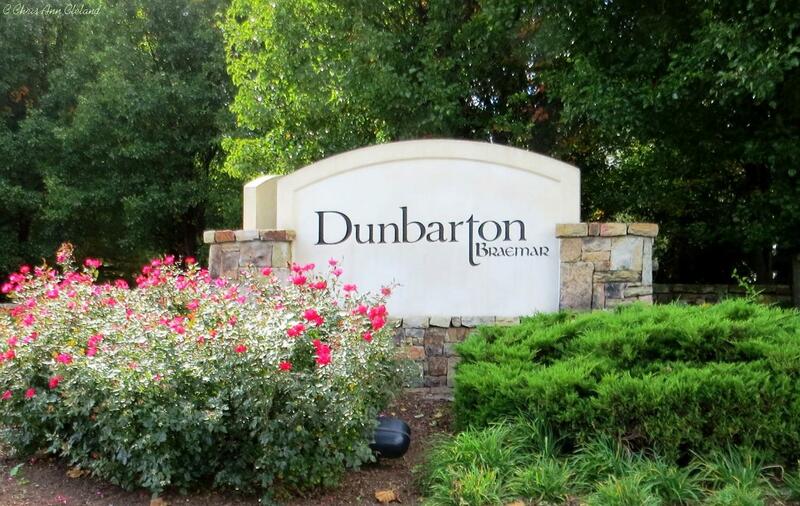 Did you know that Braemar has an Active Adult section of the community named Dunbarton? 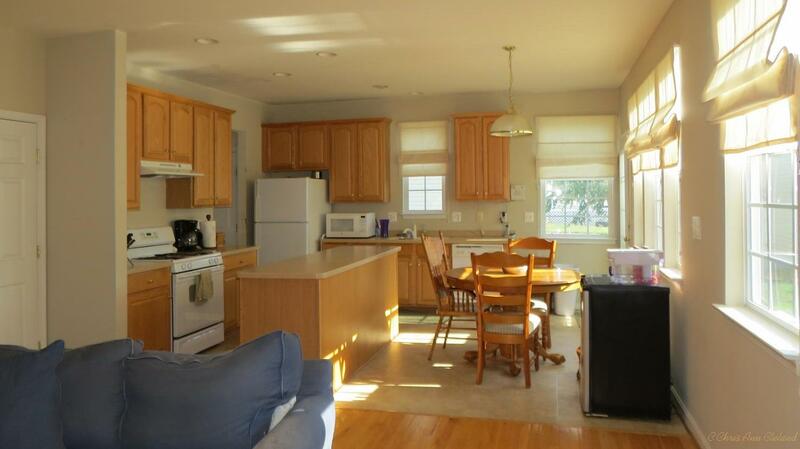 Well, this is a modern day two bedroom, three bathroom cottage in Dunbarton for $358,000. 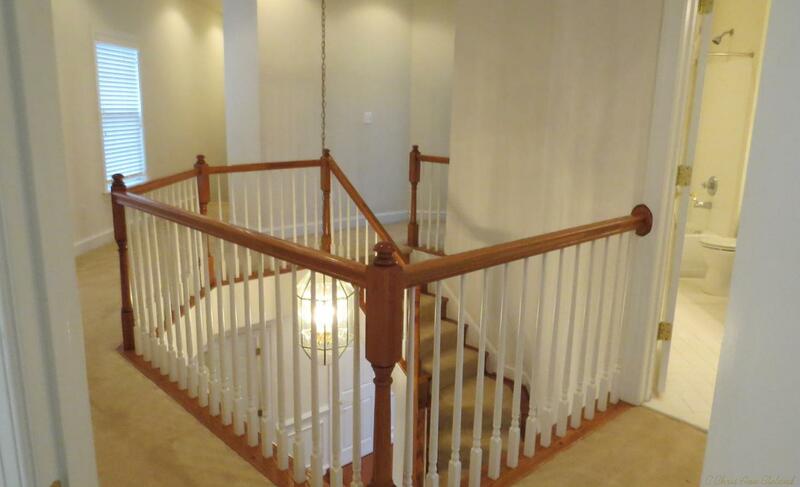 Located at 13243 Ormond Drive, this Patuxent model by Patriot Homes is a crowd pleaser. 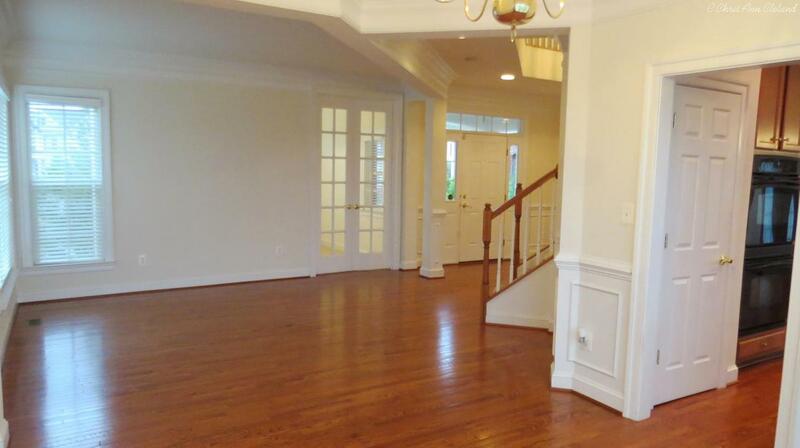 A long foyer entry brings in beside the second bedroom. 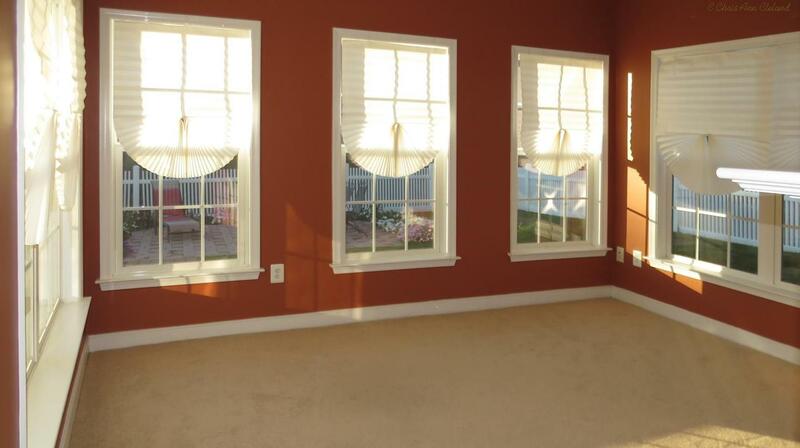 The bay window in this bedroom gets soaked in early morning light with its southeast exposure. A full bathroom just outside its door, but separated from the rest of the home by the staircase to the loft, makes it a great guest suite. The Master Suite is on the other side of the staircase to the loft and has a large walk-in closet and attached full bathroom with dual sinks/vanity and a seamless shower. It’s just the right size. 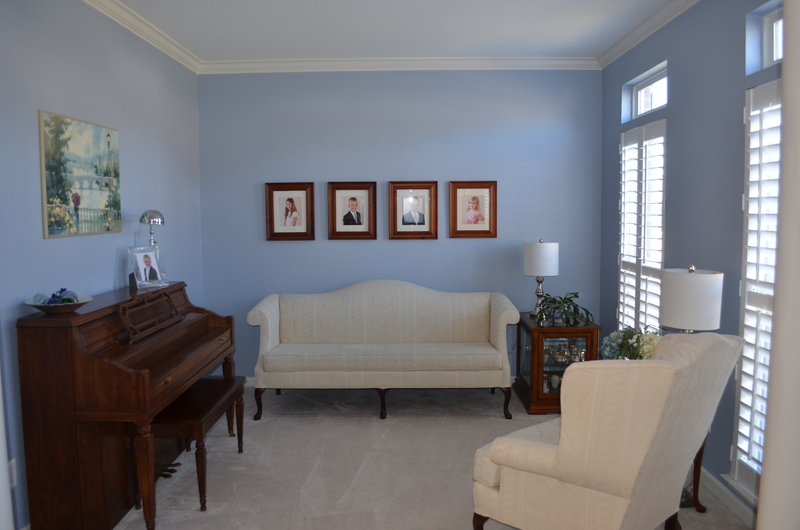 Outside is the open floor plan with a soaring vaulted ceiling in the family room. 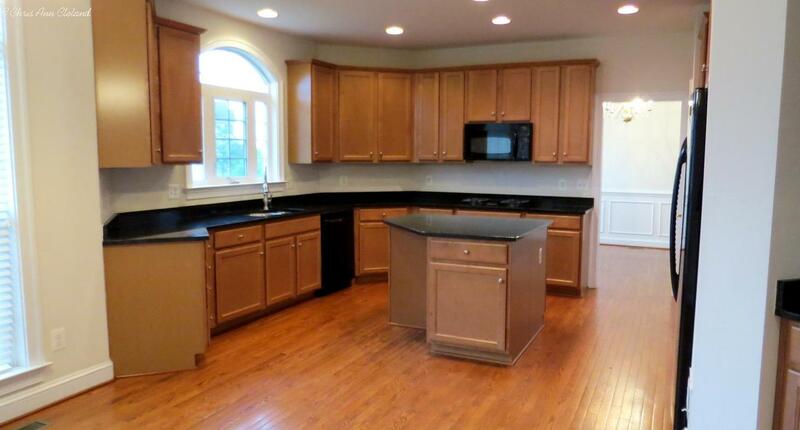 From here you can see the kitchen, breakfast nook and dining area. All are open to each other. 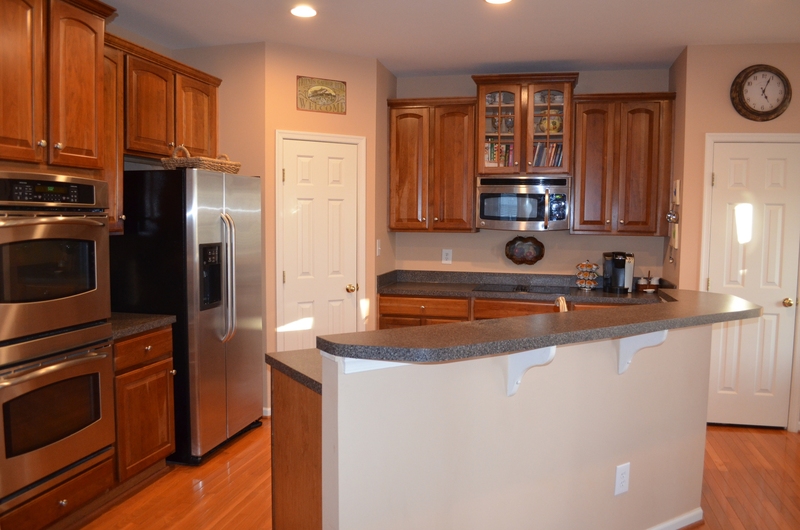 The kitchen has more granite counter space than you will probably ever need. 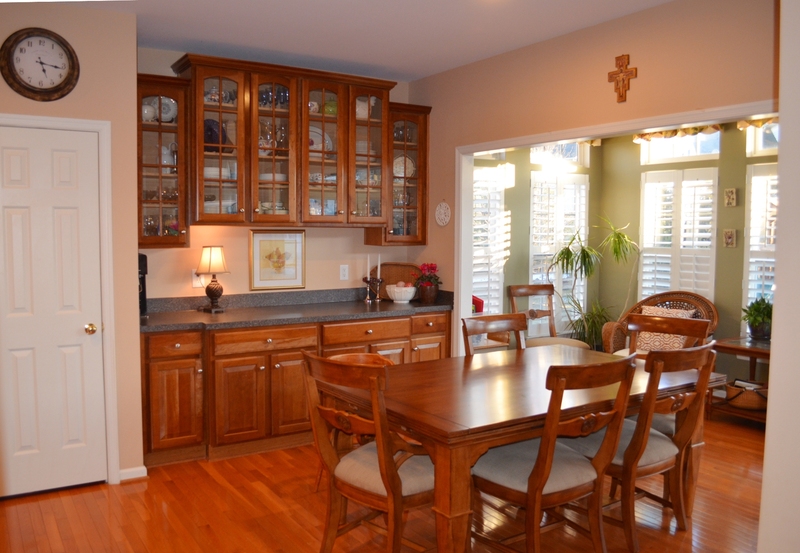 And the cabinet space includes a pantry with pull out shelves from top to bottom. Such a fantastic every day convenience. 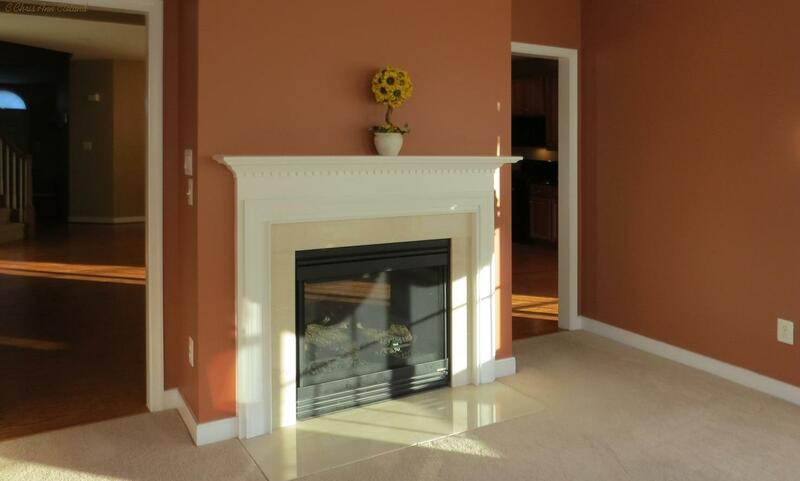 One really unique feature of this home is the two sided gas fireplace. 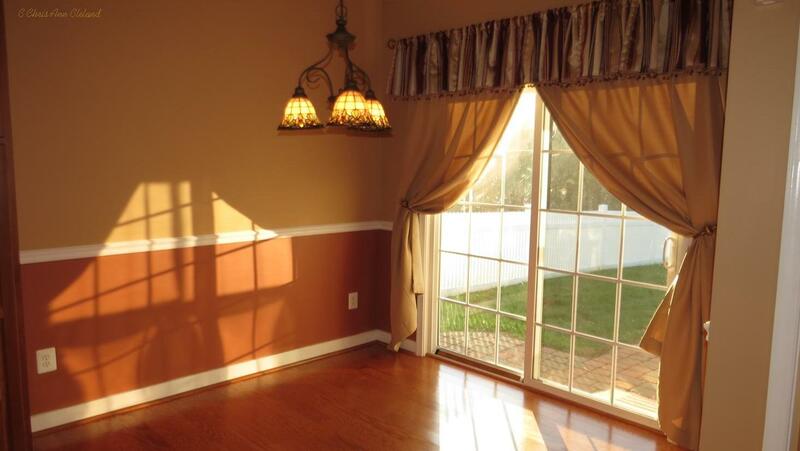 You first notice it in the family room, but step back into the sun room with its three walls of windows drenched in late afternoon light, and you see the other side. The sun room, is by far, my favorite nook of the house. 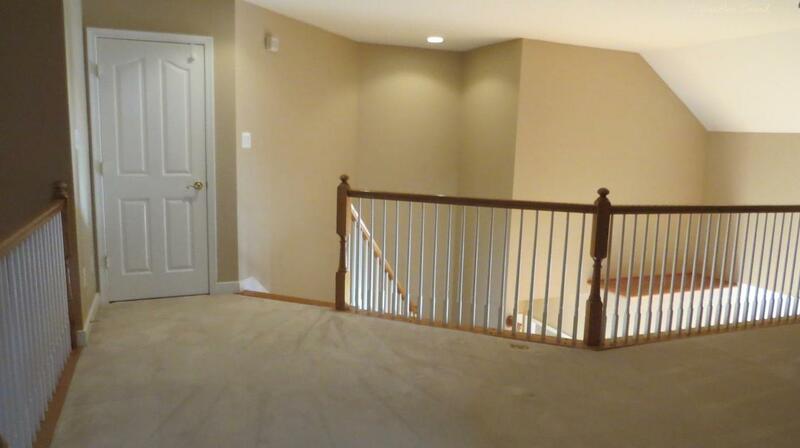 The loft overlooks the foyer on one side, and the family room on the other. 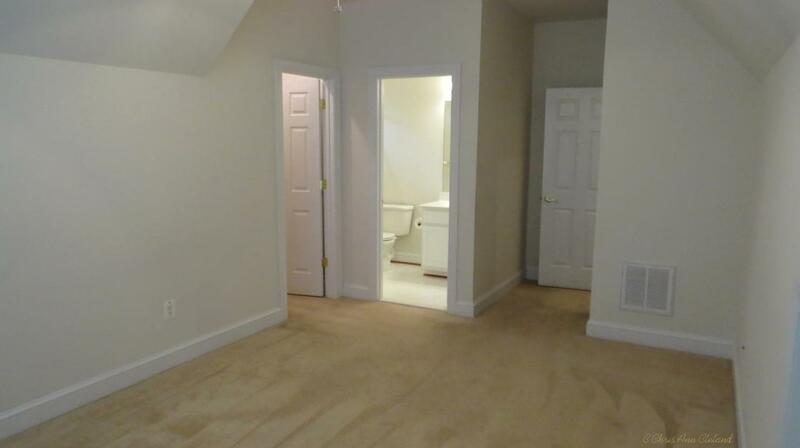 It’s a very modern space with its own full bathroom. You could have a make shift guest suite up here. 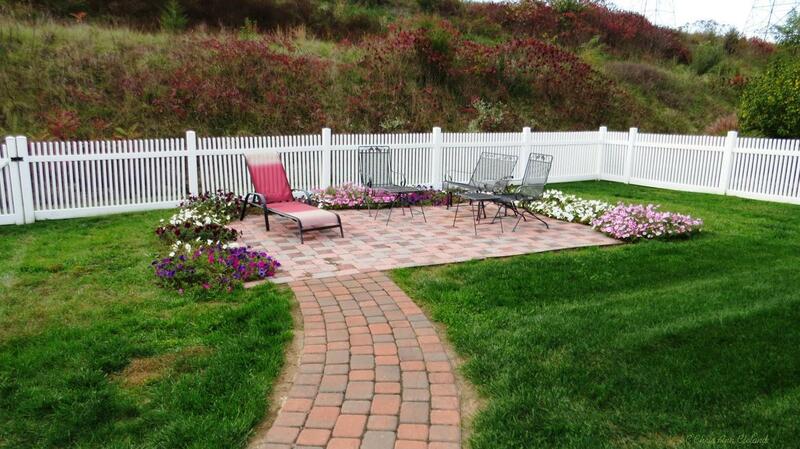 Outside is a fully fenced backyard and paver patio. It is private feeling lot with a large berm just beyond the fence. 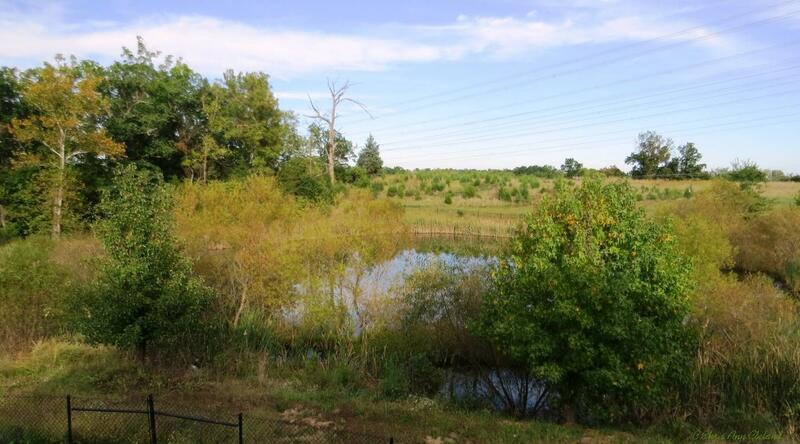 The power line easement just beyond the berm means no one will ever built behind your home. 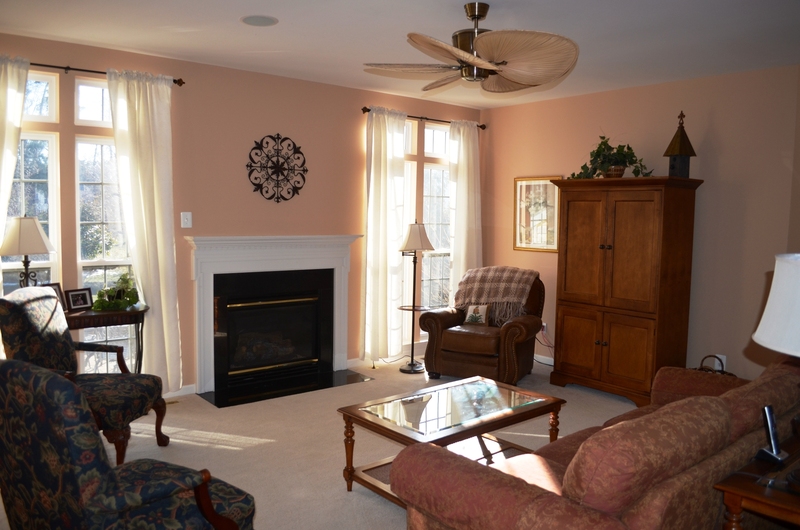 Active Adult communities have age restrictions, and Dunbarton is no exception. At least one resident in each home must be 55 or older. There are also no residents allowed below 18. 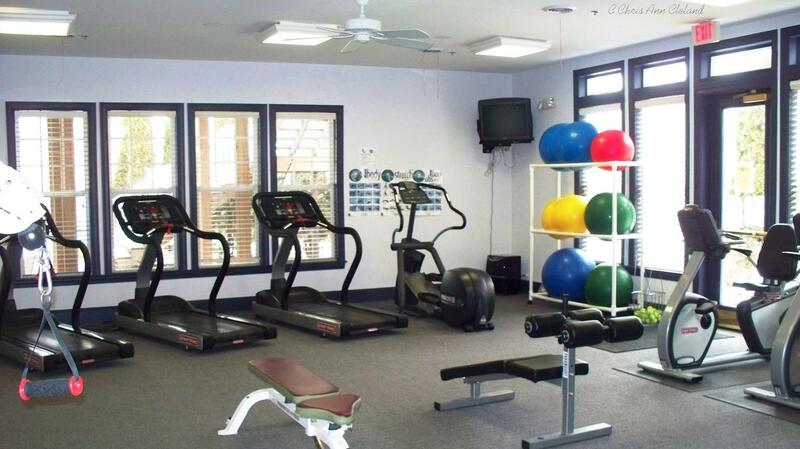 The community itself has an indoor pool, billard/game room, party room and an exercise room. 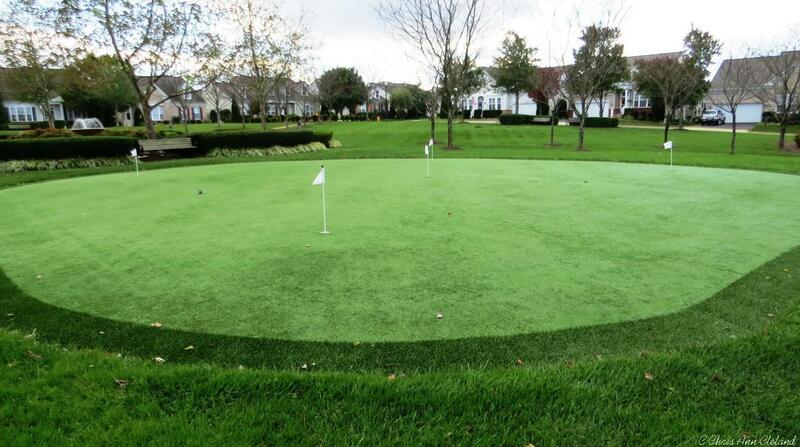 There’s even a putting green outside their clubhouse. 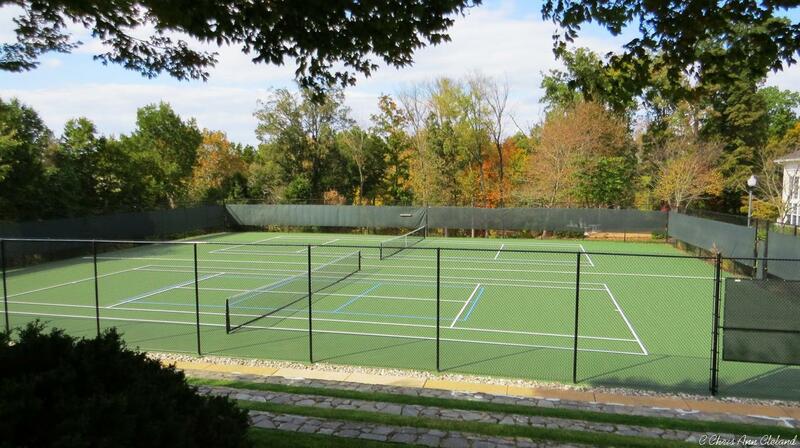 All that AND they have access to all the Braemar amenities. If this home is something you want to take a closer look at, give me a call. If you have time to wait for Short Sale Approval, this Obelin model by Ryan Homes, located at 13519 Marr Lodge Lane, is a fantastic find. List price of $478,000 has already been approved by the bank. And since our first buyer did the majority of waiting, it is unlikely this would take more than 45 days to get the next contract approved. 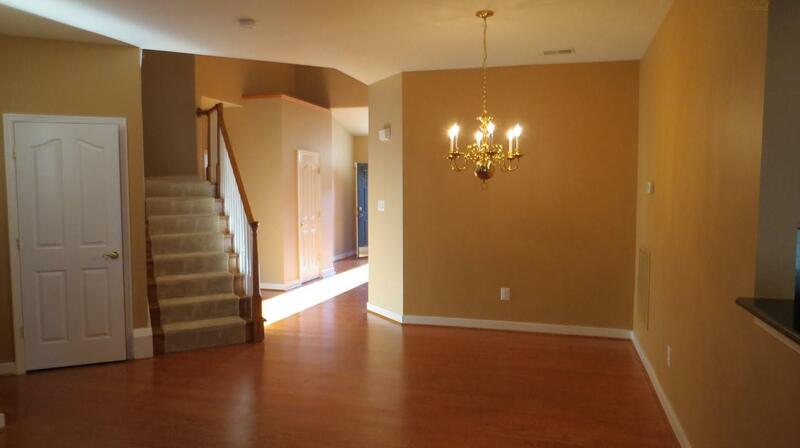 The floor plan gives you a formal living and dining room. These sit across the foyer entry from each other and have plantation shutters that give them an air of sophistication. 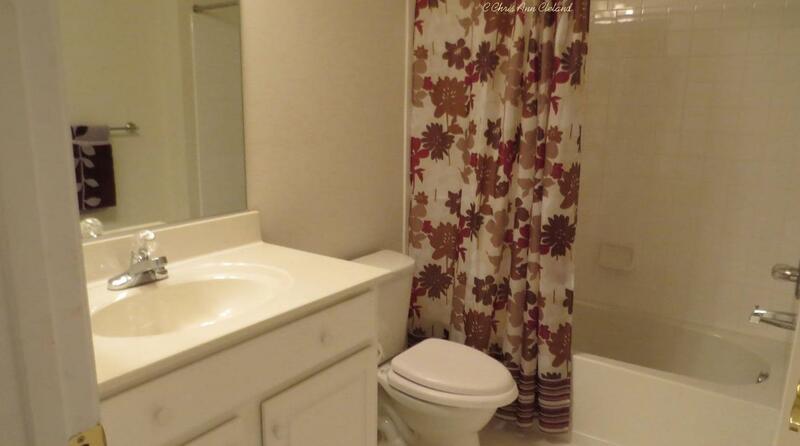 Walk into the home and you find a powder room and study, to the right. 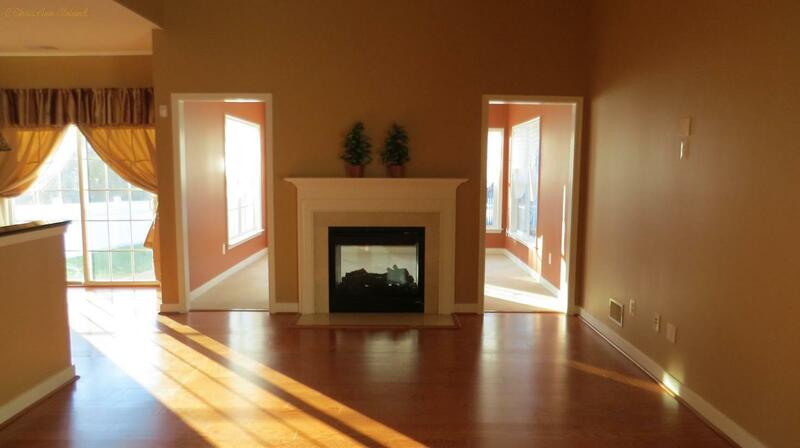 To the left a generously sized family room opens to the kitchen, breakfast area and sun room. This is my favorite part of the home. It is so friendly in its design. 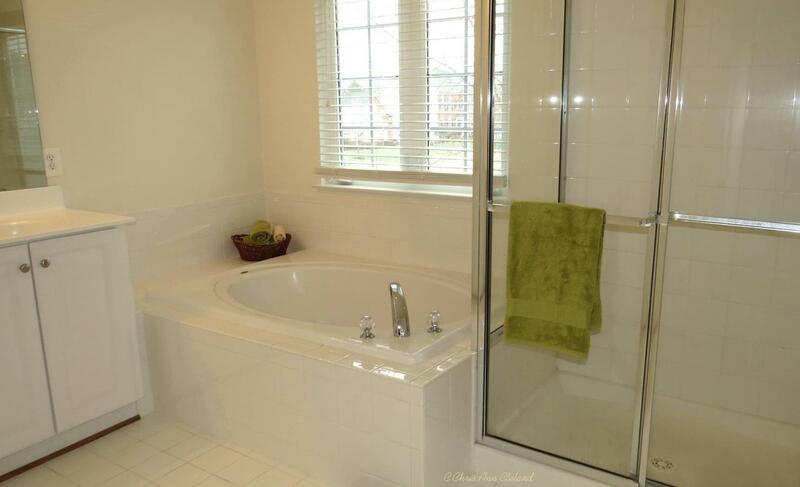 separate shower and soaking tub. 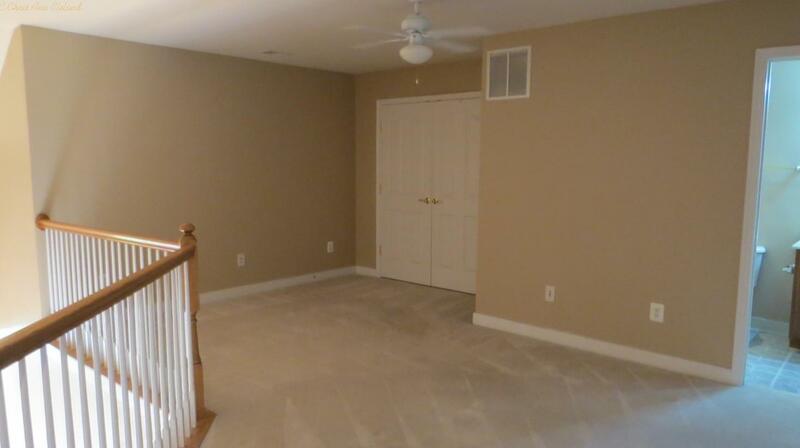 The remaining three bedrooms have hall access to the second full bathroom. 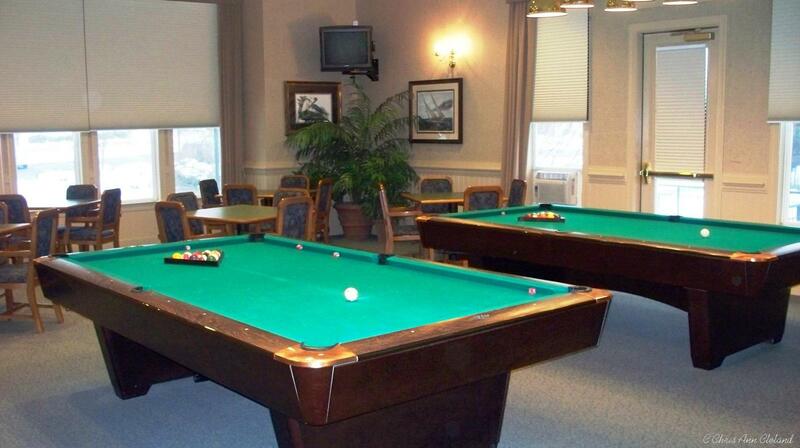 The basement has a window well exit and a larger and smaller recreation zone. There is a bunch more space to finish. 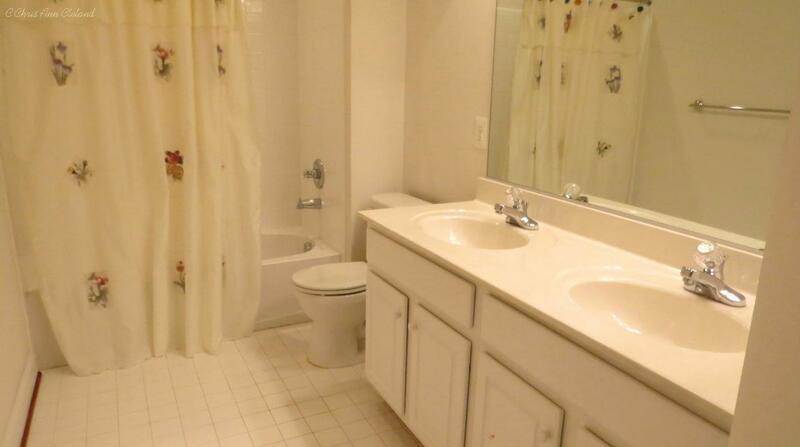 And because there is a rough-in here, you could even make a den/bathroom combination. Still, you are left with a huge amount of unfinished storage space. 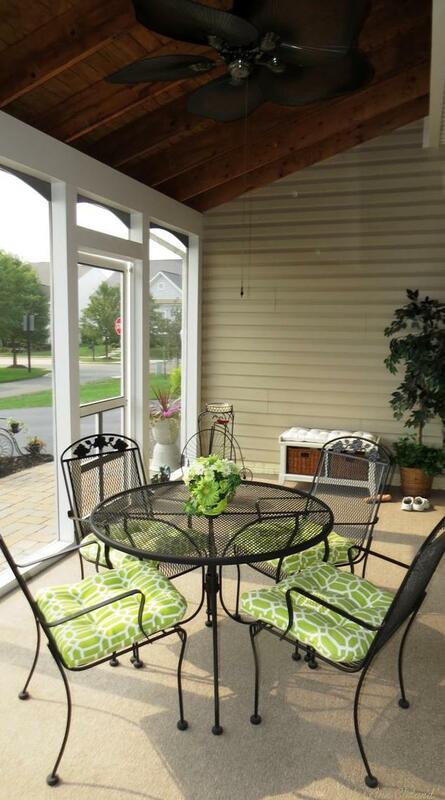 Outside you can enjoy your patio whenever the weather allows, which in Northern Virginia is about 75% of the year. Another outdoor feature, the underground sprinkler system, allows you to maintain a gorgeous lawn in the Northern Virginia summers. And since the HOA dues cover basic cable and internet service through RCN, you have even less to worry about. 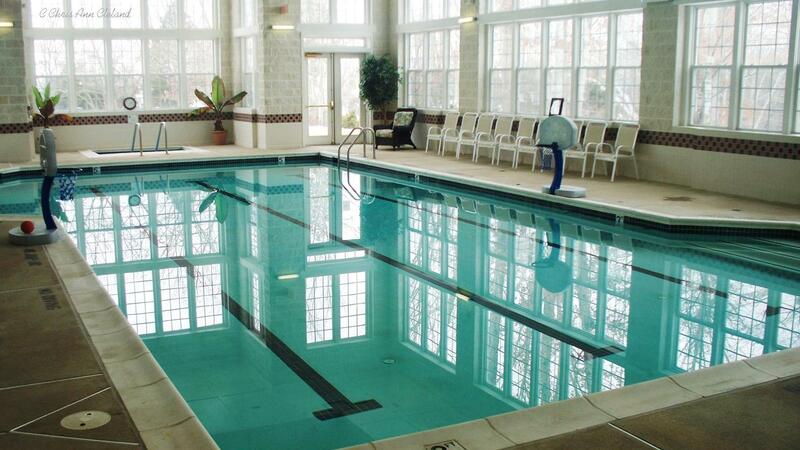 HOA amenities include access to Braemar’s swimming pools, tennis and basketball courts, the athletic field at Braemar Park, playgrounds and tot lots. Trash removal is also covered in the monthly fee. Snow removal and road maintenance are covered by the state, as Marr Lodge Lane is a public street. 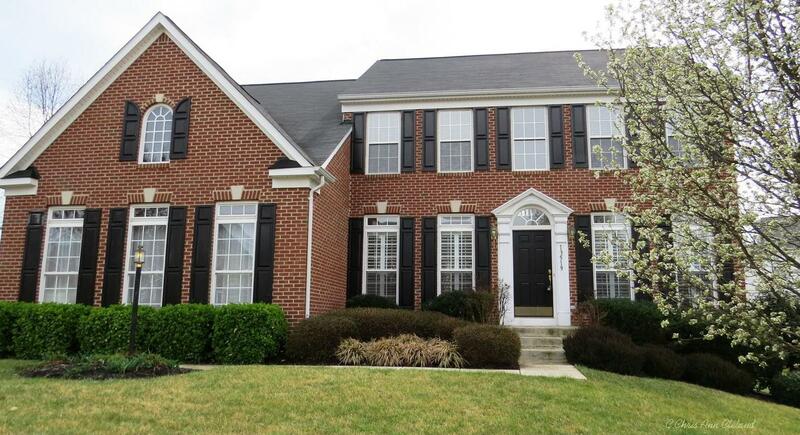 This gorgeous brick front home is in the Patriot High School district. Middle school is Marsteller and elementary is T. Clay Wood. If you are interested in viewing this home, give me a call. No One Knows Braemar Better! Allister models, built by Brookfield Homes in Braemar, are few in number. That’s probably because there was no on-site model when Brookfield Homes was developing the community. This is a fantastic opportunity for a Bristow buyer to see all the Allister has to offer. 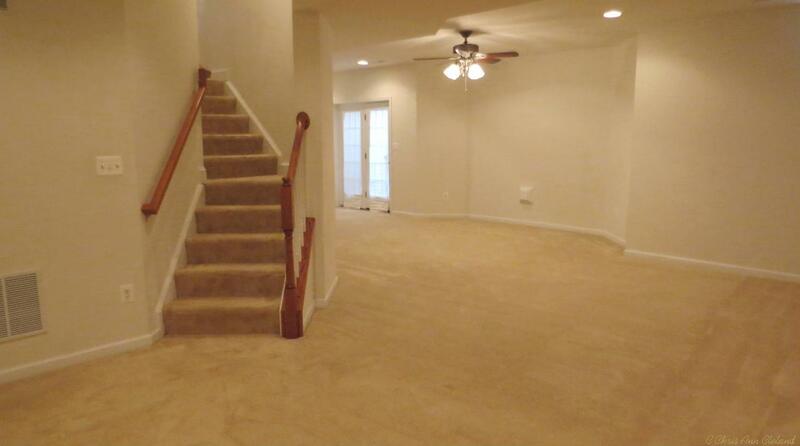 Its open floor plan with an angled, center staircase, pleases as soon as you enter. 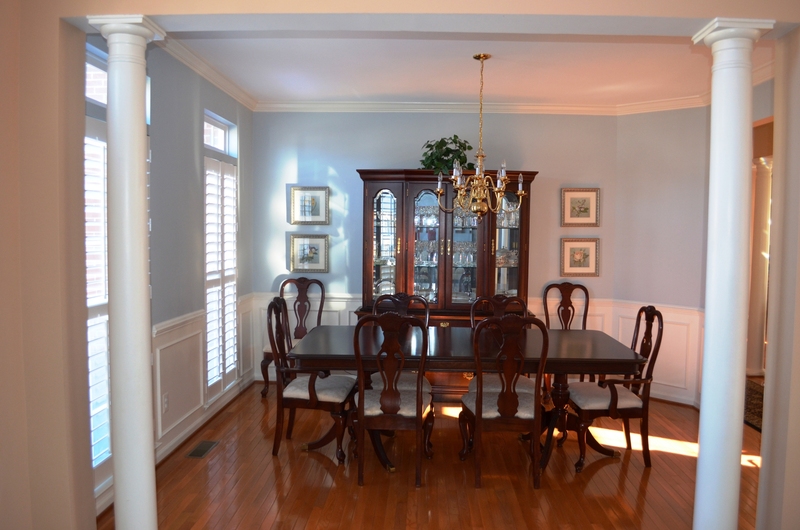 Formal living and dining rooms are open to each other and to the right when you enter the open foyer. 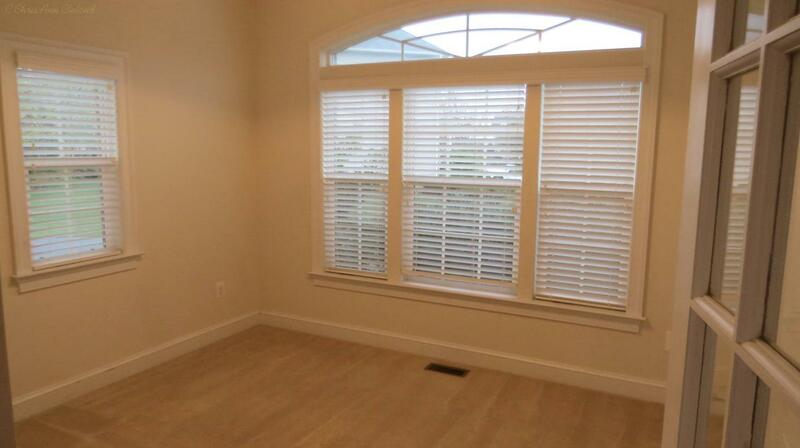 And this particular Allister has the added study behind French Doors. What a great place to have a home office. 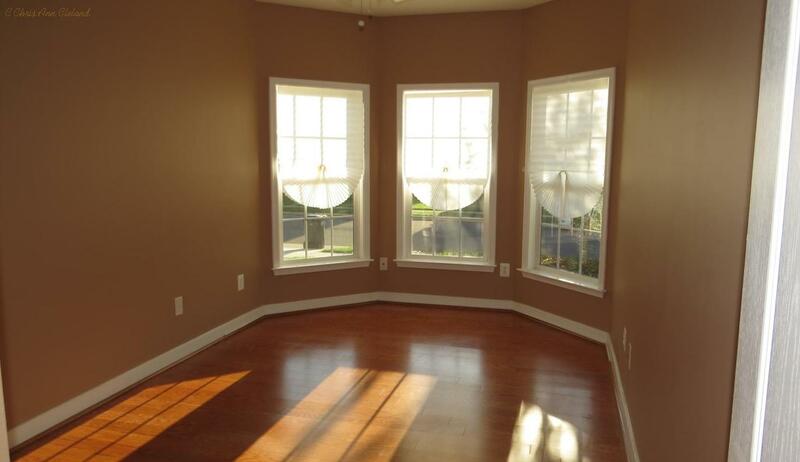 There are windows on three of the walls, giving you plenty of natural light. Go to the left when you walk in the front door and you are lead back to the family room, breakfast area and kitchen, all open to each other. 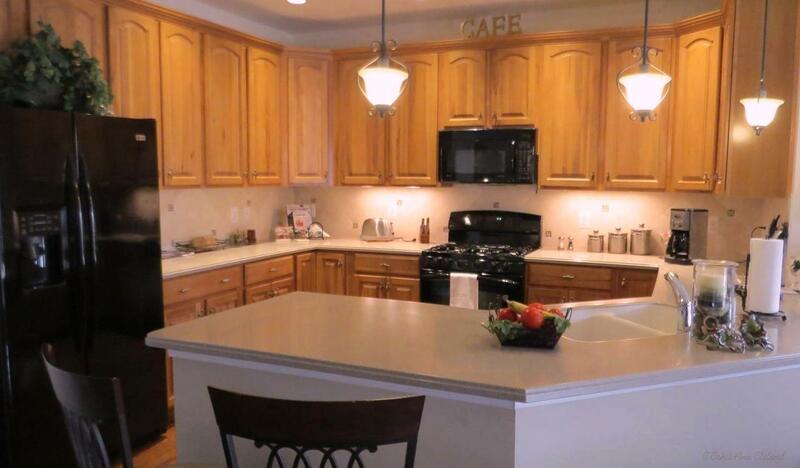 The kitchen has Uba Tuba granite counters and island, which is a nice contract to the maple cabinetry. 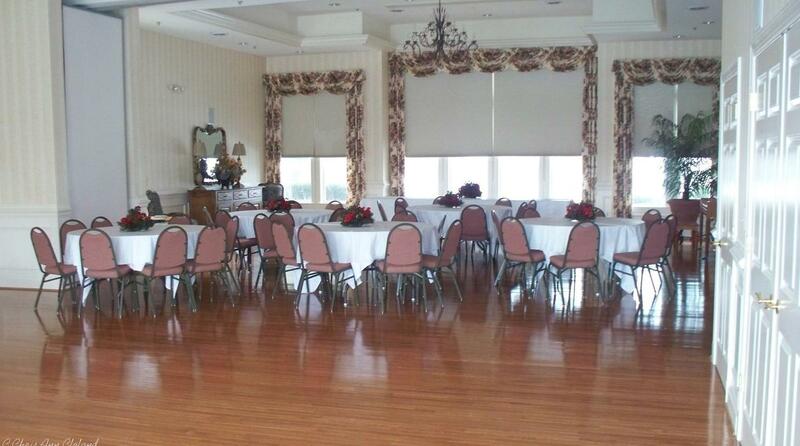 And the kitchen does pass through to the formal dining room. This is also the area of the home where the mud room entry connects. Laundry room is off the mud room as well. 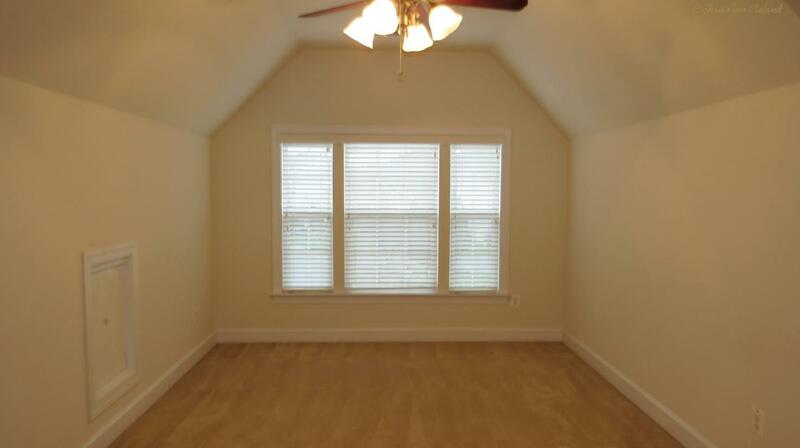 Everything on the main level is done in hardwood flooring except the mud room, laundry room and study. Upstairs master suite may seem unassuming as you enter, but there are three walk-in closets and an attached luxury bathroom. 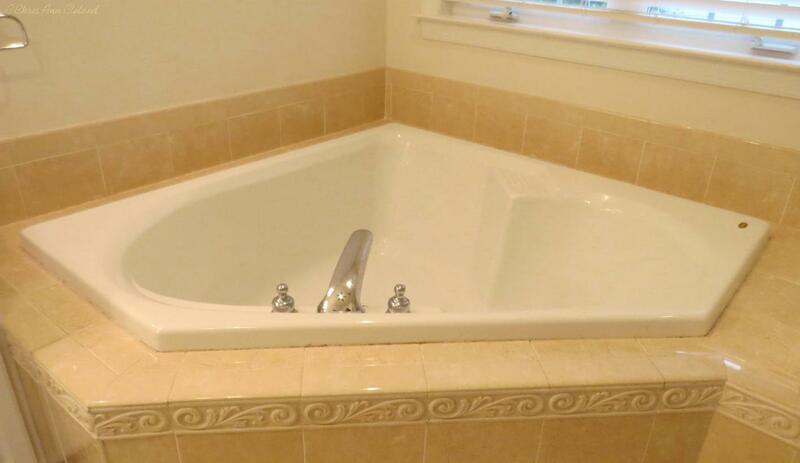 Enjoy the soaking tub, or every day convenience of dual sinks/vanity. 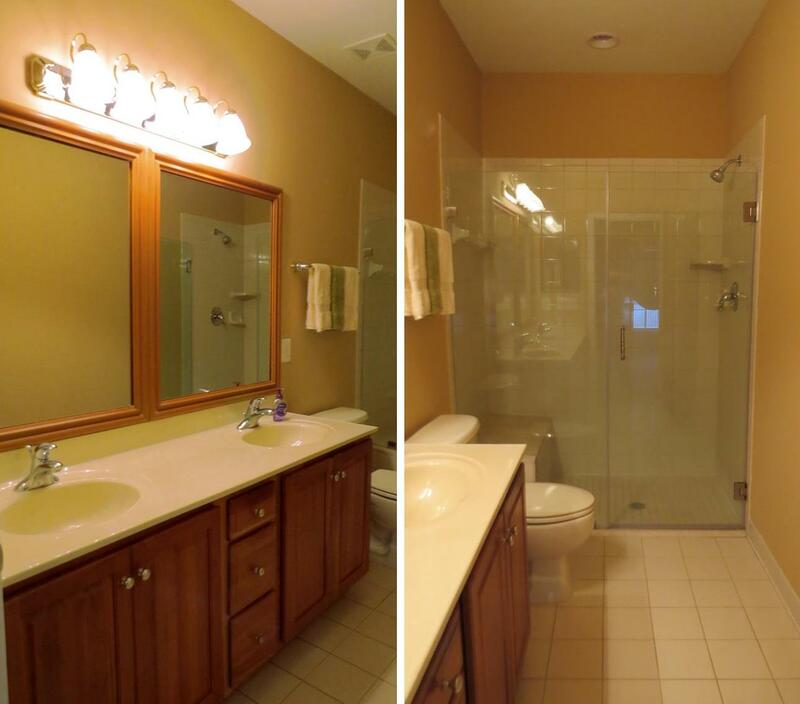 Bathroom is done in ceramic tile. 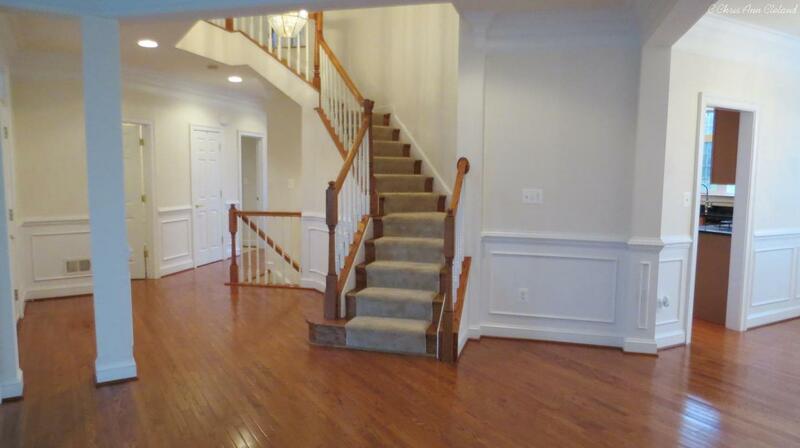 The second and third bedrooms sit across the staircase, open to the foyer below, from the master suite. 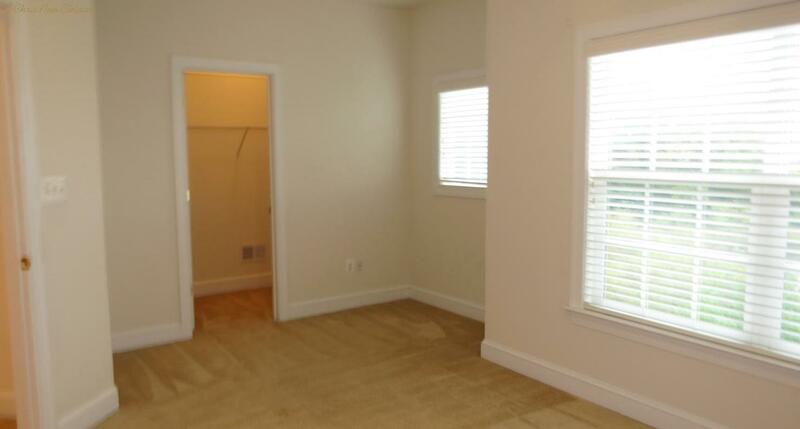 One of these rooms has a walk-in closet. 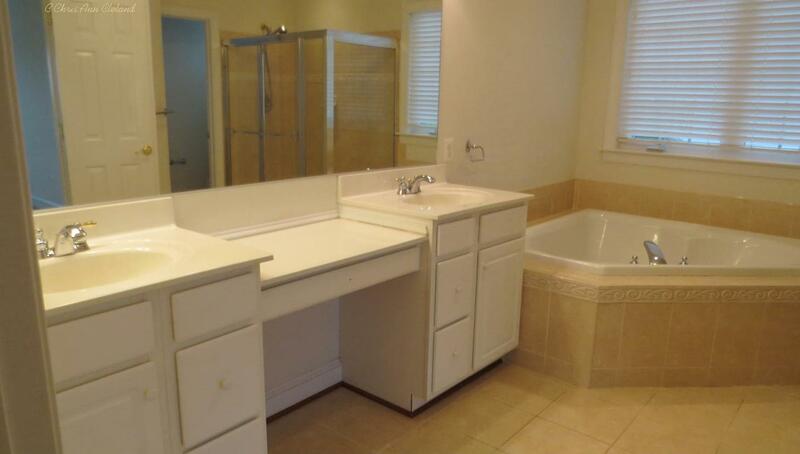 They share they second full bathroom with dual sinks. 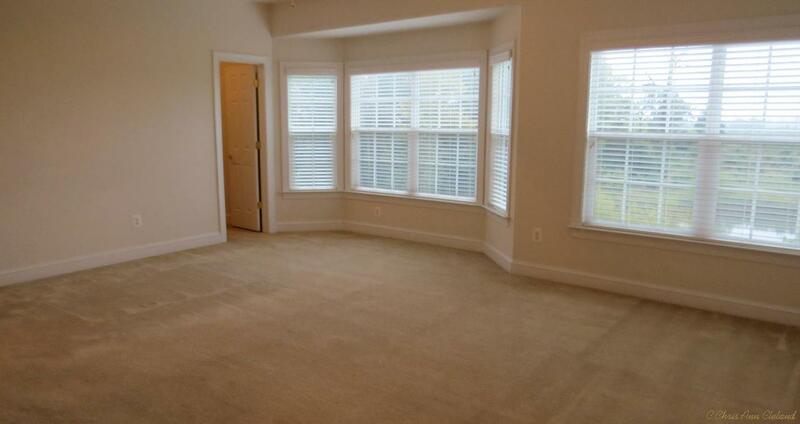 My favorite part of the Allister floor plan is the fourth bedroom. Off a separate hallway and down two steps it sits above the garage. This is a great princess suite because it has it’s own attached full bathroom and a walk-in closet. 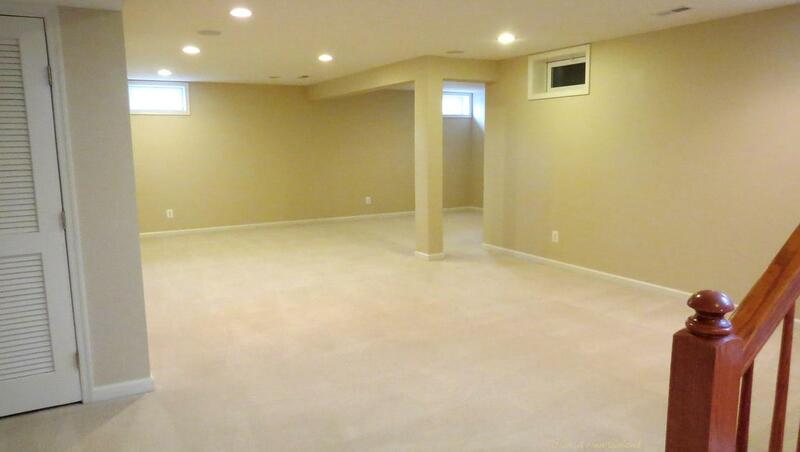 The basement of this Allister has a walk-up exit, large recreation space and another full bathroom. 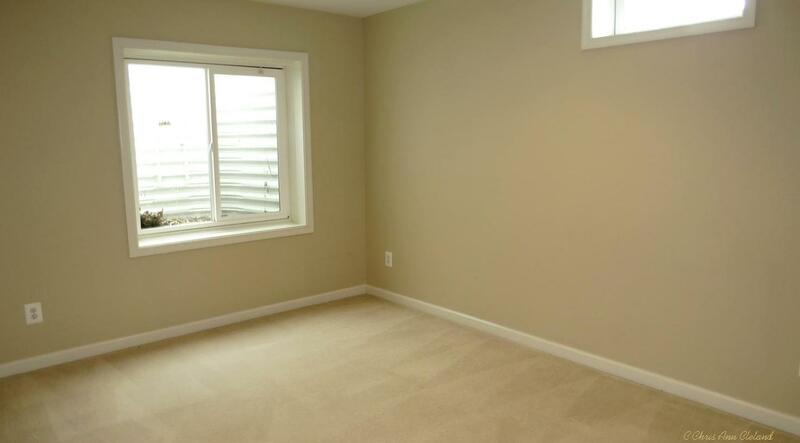 There are two additional rooms you can finish and still have tons of storage space. 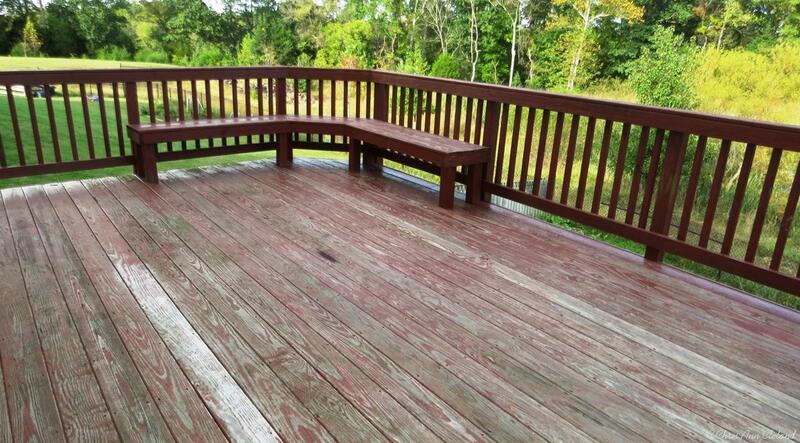 The wood deck, off the family room, overlooks a wooded area. The backyard, wider than it is deep, is fully fenced. 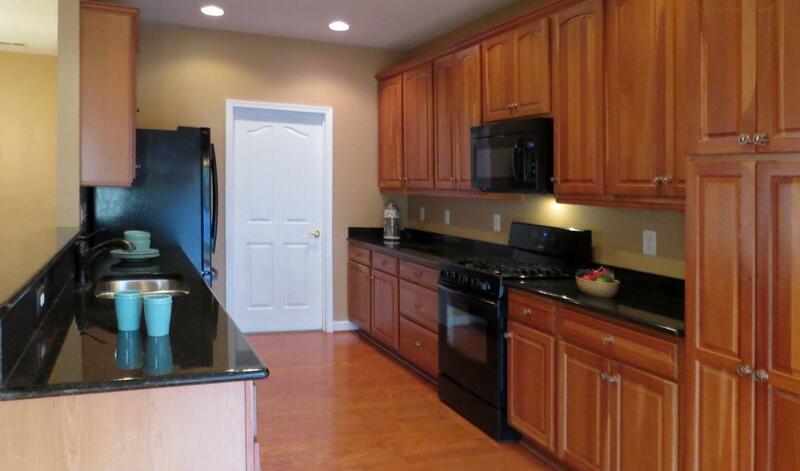 This Allister has over 4,000 finished square feet on the first two levels and has so much to offer a patient buyer. It is a Short Sale, which means bank approval is needed before the sale can close. It is estimated that process would take sixty days. The property is also being sold as-is. As of today, it is still possible to be in this home for the holidays. Call me for your tour today! No One Knows Braemar Better!